year celebrations, Principle-Centered Leadership and intent of focusing on qualities that authentic leaders embody, Goa Institute of Management (GIM) is organizing a Women’s Leadership Forum on ‘Pathways to Resilient Leadership’. The event will be held on 18th Jan 2018 at Taj Vivanta, Panaji. Governor of Goa Mridula Sinha will be the Chief Guest. The panel discussion will have eminent leaders and personalities who have been trailblazers. 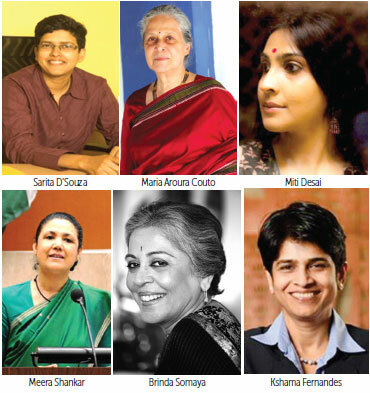 These include, Meera Shankar, Retired Civil Servant and Former Indian Ambassador to USA; Brinda Somaya, Architect and Urban Conservationist and Founder of SNK India; Dr. Maria Aurora Counto, Writer, Historian and Educationalist; Kshama Fernandes, MD & CEO, Northern Arc and Miti Desai, Classical Dancer, Designer and Founder of Miti Design Lab. The discussion will be moderated by Sarita D’Souza, visiting faculty member at GIM. The event holds added significance given that GIM has always ranked high when it comes to gender diversity. Right from its inception the B-school has had a balanced gender ratio amongst its students. Over forty per cent of the students in the present batch this year are girls. The conference is one of the several initiatives undertaken by GIM to celebrate the completion of 25 years of imparting knowledge to the country’s future corporate leaders.